Many of our clients find it difficult to embrace Facebook for their marketing, and even more difficult to let their employees use the service during work hours. We have heard them say that Facebook has become too complicated and that it presents too many security risks. If you are not a regular Facebook user, but your company is using Facebook to communicate with clients and prospects, we suggest that you pass this on to your social media marketing manager. And if you are the person in charge of Facebook marketing at your company, then you may want to tuck away . And as you can see, Facebook’s Privacy settings have become very complicated. 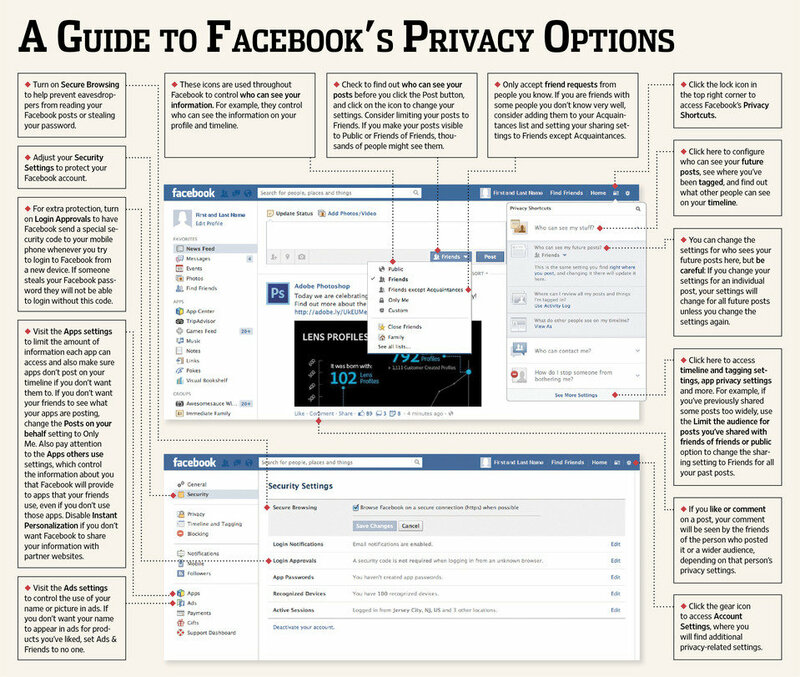 But this guide from The Wall Street Journal should help make sure that you get your settings adjusted just as you want them – at least until Facebook changes all its settings again! If you’d like to learn more about how to leverage Facebook for your business, feel free to drop us a line. ← Are You Using a “One-and-Done” Approach to Your Website?